Materials: Brass. Black coloured brass. 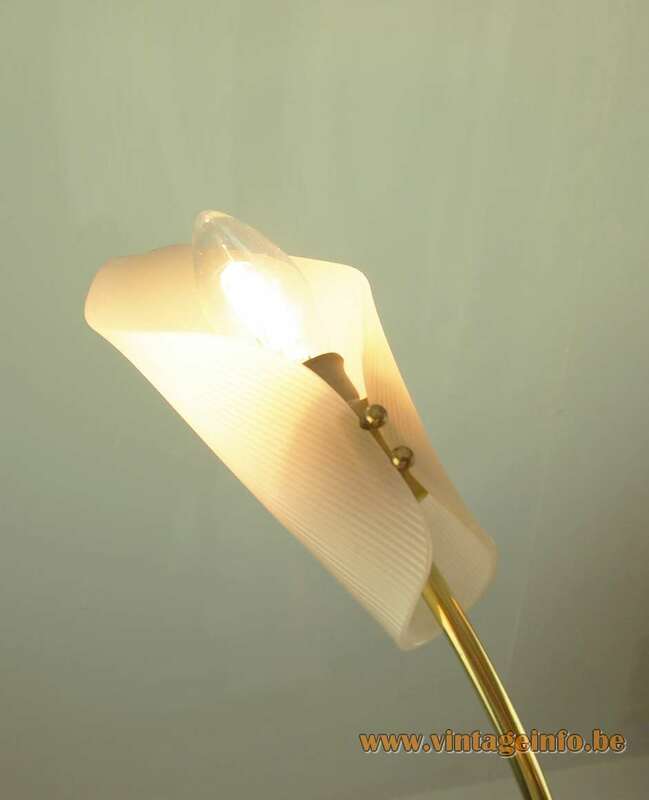 Slightly ribbed white acrylic, pleated into a calla flower model. White Bakelite sockets. 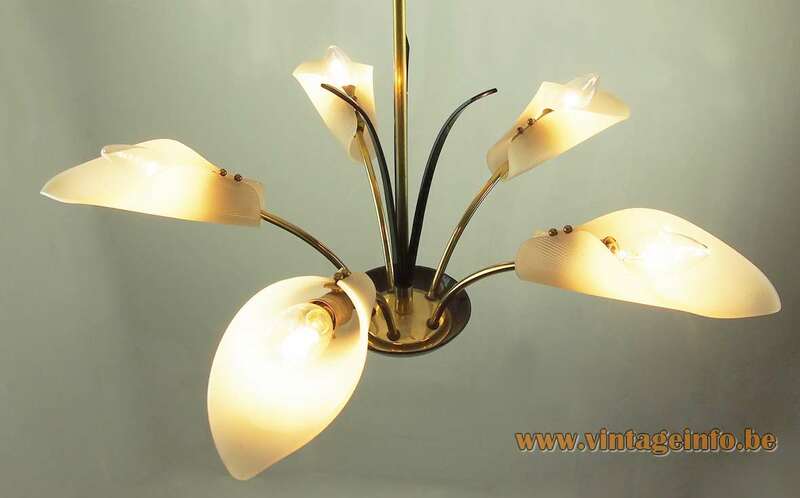 Electricity: 5 bulbs E14, 5 x 40 watt maximum, 110/220 volt. 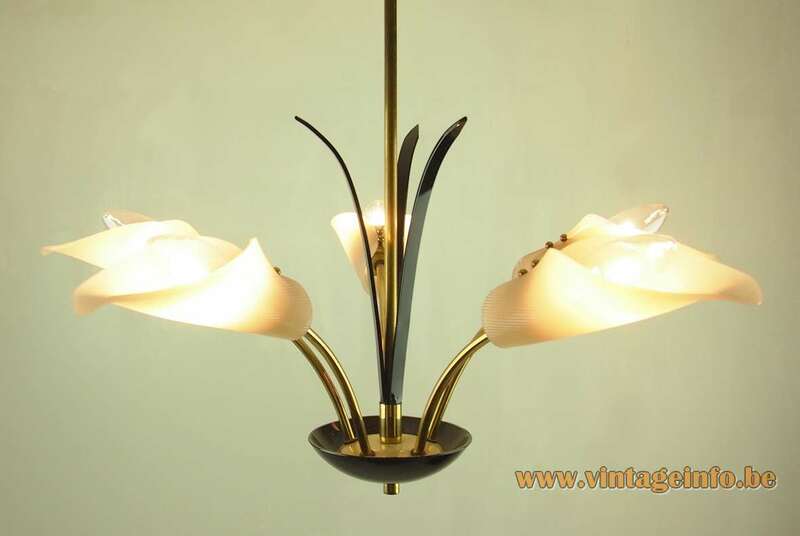 Other versions: Probably made in some variations and wall lamps. Chandeliers decorated with flowers is something of all times. 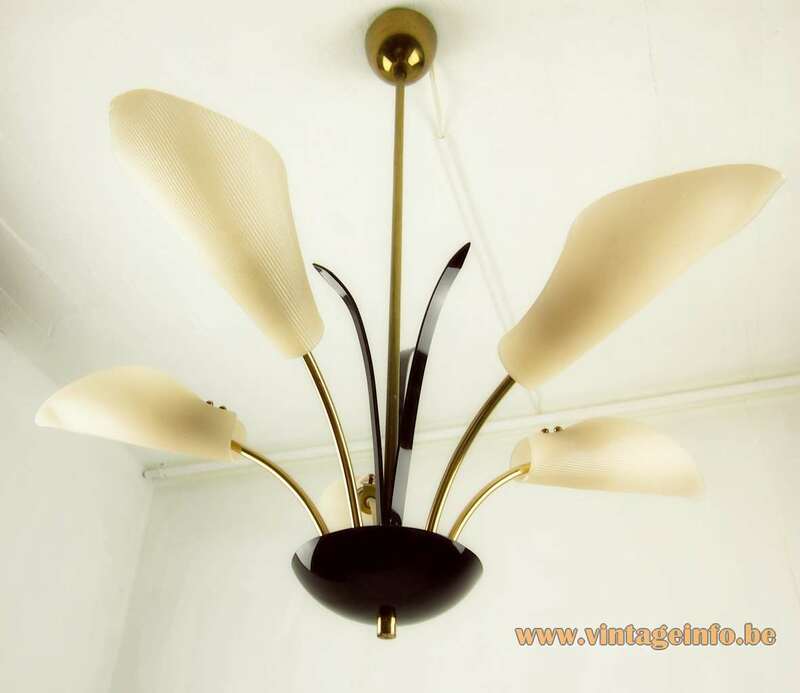 Brass and acrylic chandeliers started to appear in the 1950s in this form. They were made for several years. 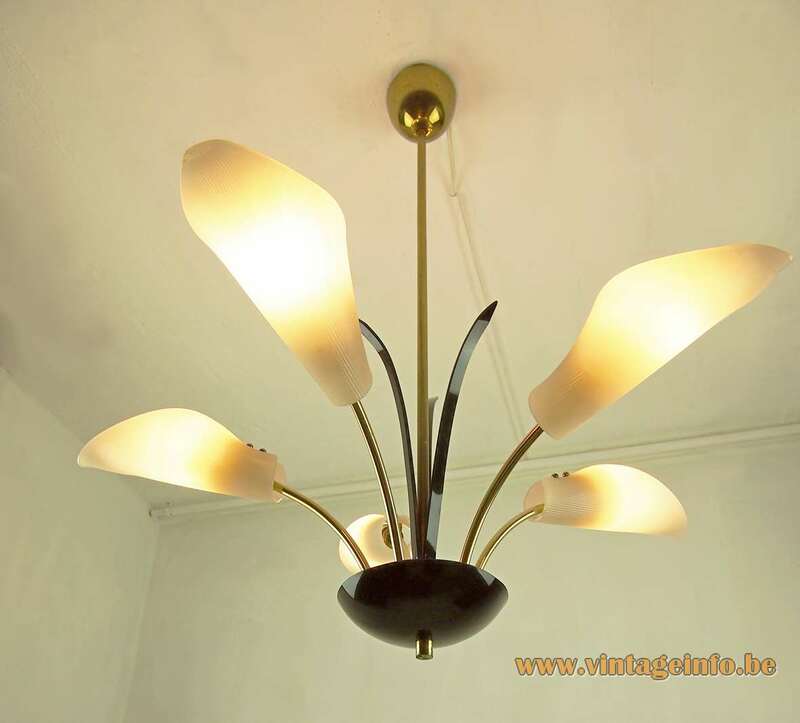 This chandelier has no markings or label whatsoever, unfortunately, but it was acquired in Germany. The leaves and the bottom plate are blackened. There are many ways to do that, most of them are chemical. Sodium polysulfide and ammonia are often used. Some people create the black colour with Palmolive Dishwashing Liquid. It contains sodium bisulfite and other sulphur derivatives.